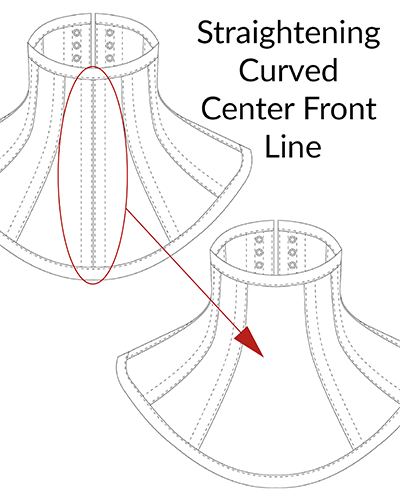 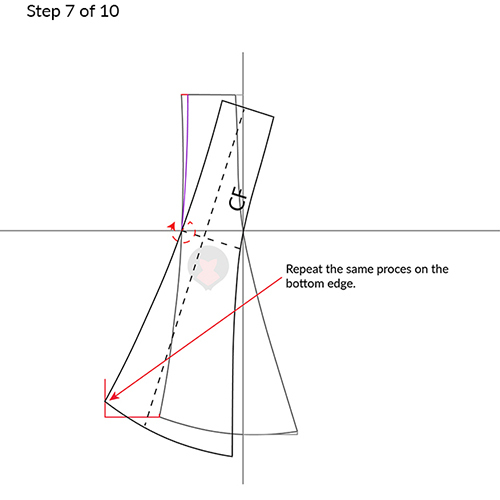 Corset patterns can have a curved center front and/or back seam line which makes them unsuitable for using on the fold of fabric. 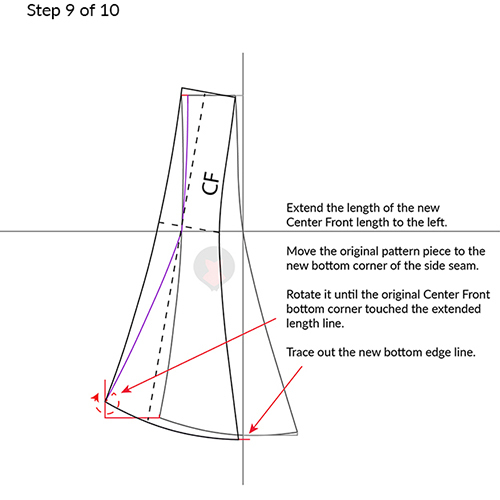 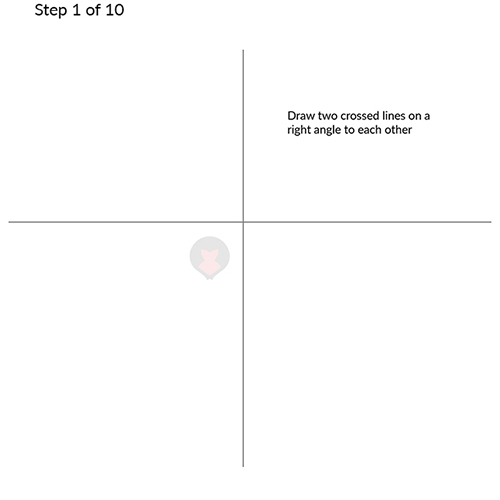 Sometimes we really want that center seam line to be straight but we can’t just take a ruler, draw a new line and call it day. 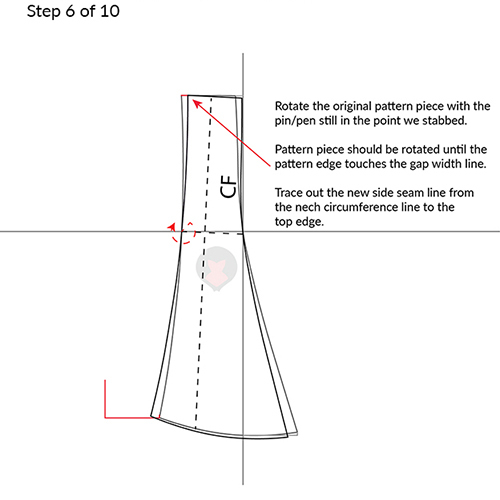 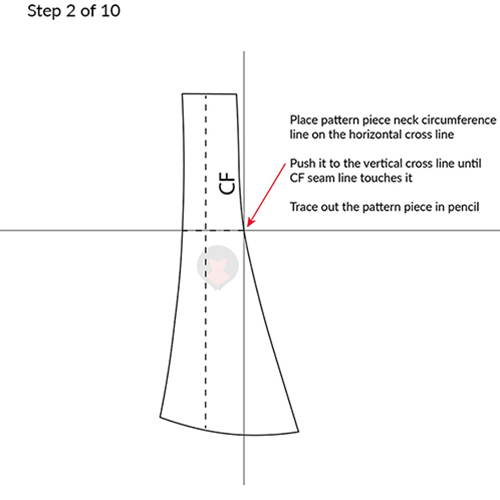 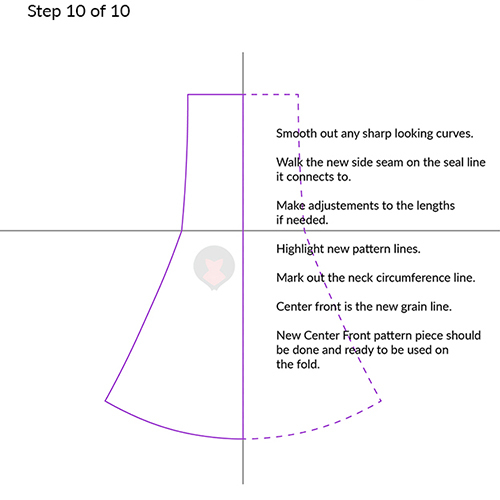 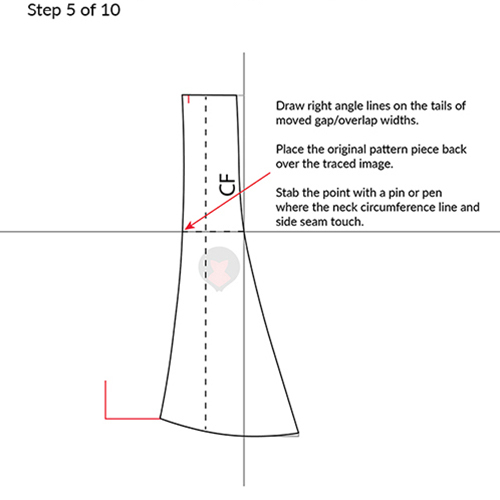 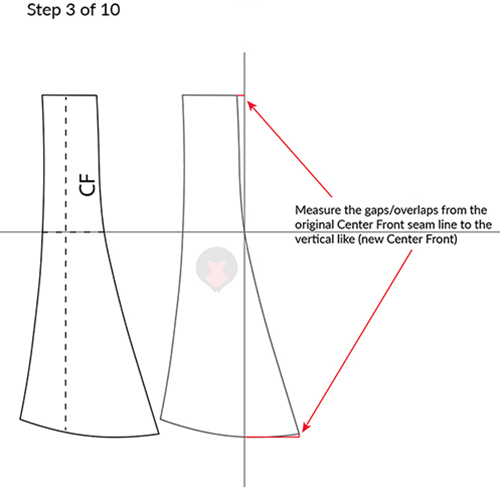 I’ve made this tutorial on how to properly straighten that curve while keeping the original dimensions of the pattern piece. 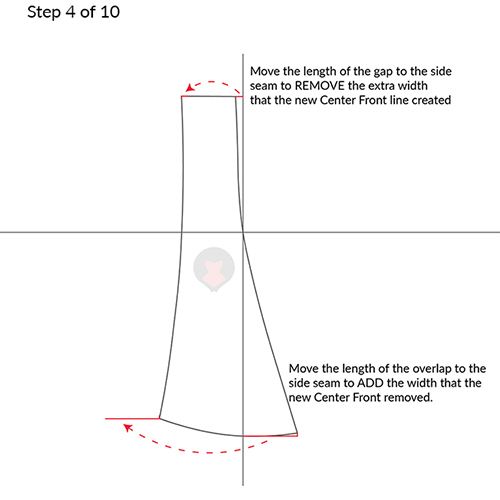 Hope you will find it helpful! 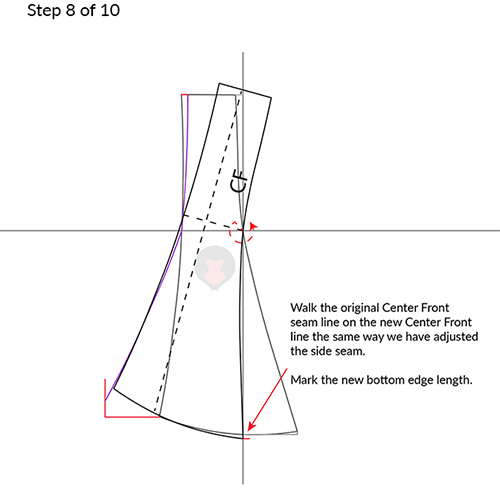 Method is demonstrated on the center front piece of the neck corset RAVEN though the same principle can be applied on other curved center front and/or center back pattern pieces.